As a mother wearing jewelry can be unappealing, even risky thanks to a curious baby with a tight grip. 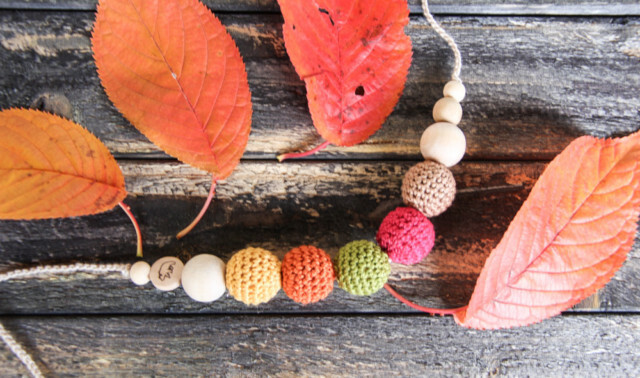 Now you can have a cute accessory that is fashionable and functional. 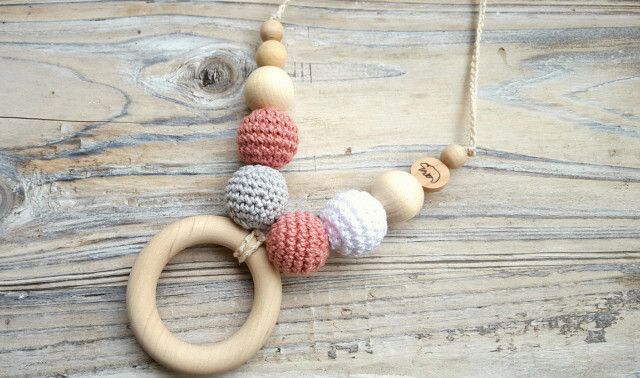 All natural, untreated wood combined with organic cotton make the perfect focal point for a feeding baby or toy when teething. 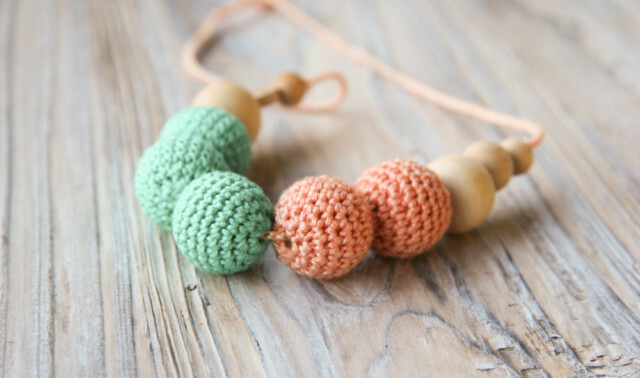 Building motor skills, capturing attention for easier feeding, chewing on nontoxic materials and a pretty pop to your outfit make this necklace a must have for any mom. All parts are well fixed for safe biting. 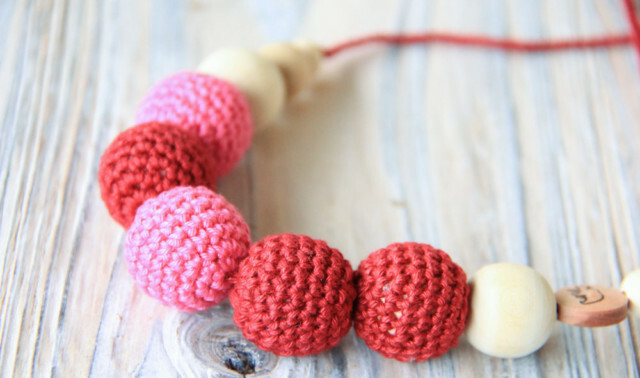 It can be worn as a necklace at any length or even a bracelet. – Hand wash and air dry on a flat surface. – Simply tie in back for varied lengths. – Each made in a smoke and animal free environment. – 100% natural and chemical free. – Makes a great baby shower gift!